The final 6 will pitch their businesses to the judges. Over the past few years, Bears' Lair has provided opportunities for local entrepreneurs wanting to take their businesses to the next level. The competition has supported the hard work of Peterborough's economic and business development organizations and their impact on the well-being and growth of our start-up community. Consider being a sponsor of the 2019 Bears' Lair Entrepreneurial Competition. Your kind contributions will make a big difference in assisting entrepreneurs and will help us boost the entrepreneurial focus in Peterborough and the Kawarthas. Are you in? Apply today! Applications are due February 26th. 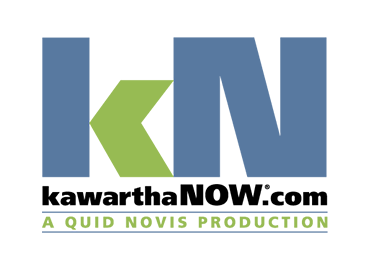 Bears' Lair is an annual competition for up-and-coming entrepreneurs in Peterborough & the Kawarthas. Six finalists are selected to pitch their business to a panel of judges and the local community for a chance to win BIG cash prizes! The Goods and Services stream is for any businesses that are creating and selling products or delivering a type of service. The business could be locally or globally focused, and could include retail, manufacturing, professional or personal services. The Innovation stream is for businesses that have a focus on technology, innovation and ideas, such as a new program or process. There is potential to scale very rapidly and commercialize intellectual property. In order to compete in the 2019 Bears' Lair Competition entrants must be a registered business. You must be able to undertake the proposed work within the next 12 months and have annual sales of less than $200,000. We had three amazing business experts as judges for our 2018 competition! We can't wait to announce this year's judges. 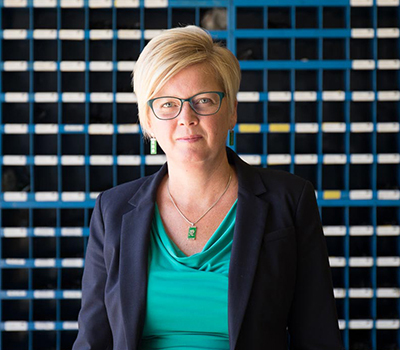 Rhonda Barnet is the Chief Operating Officer of Steelworks Design, an engineering and custom automation firm co-founded with her husband, Don Barnet. Responsible for the finance and development portfolios, Rhonda has guided the SWD to 15% annual growth year over year. In 2017, her role expanded to include Co-President, coinciding with a push to realize Steelworks Design as a full-service R&D firm. An ardent supporter of Canadian Manufacturing and Exporting, Rhonda was appointed Chair of the National Board of the Canadian Manufacturers & Exporters in 2016, the first female chair in the CME’s history. She maintains an active schedule of government and industry engagements, including functions in Holland, China, Mexico, The United States, Germany, and Canada. Further appointments include the Federal Advanced Manufacturing Strategy Council — a new model of industry/government collaboration and decision-making — and most recently, Board Member of NGM Canada, one of the 5 Canadian Super Clusters to deliver 950M of federal innovation funds. Quick to recognize the potential of a strong and confident community, Rhonda volunteers and champions numerous initiatives to this end. This includes work with regional manufacturers’ associations and start-up organizations, and launching CME’s Women in Manufacturing Working Group, convened to elevate the participation and roles of women in Canadian Manufacturing. 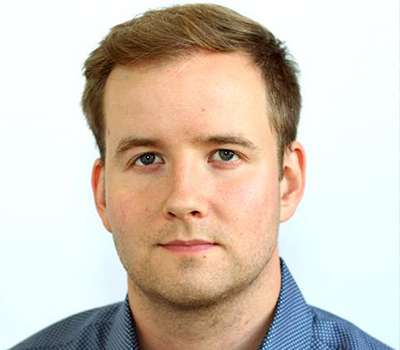 Geordie Konrad is the co-founder of Konrad Group, a digital innovation company. Konrad Group works with brands to help build digital experiences using web, mobile and cloud technologies. Konrad Group offers technology education courses through BrainStation, its education business. Geordie also co-founded TouchBistro, a venture backed iPad Point-of-Sale business used in more than 10,000 restaurants worldwide that has raised approximately $50M in venture capital. Since graduating university in 2010, these businesses have grown to more than 400 employees with offices in Toronto, Vancouver, New York and Costa Rica. 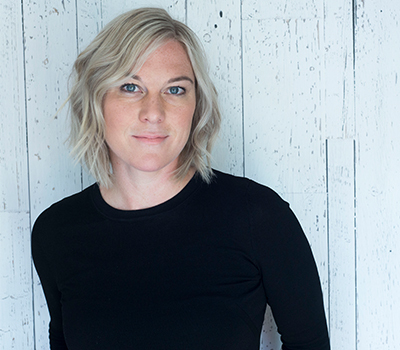 Nicole Verkindt is the Founder & CEO of Canadian technology company, OMX (theomx.com). She is passionate about the role that data and networks can play in connecting diverse supply chains and analyzing and improving the exact impacts from procurements. The platform is the only one in the world that manages obligations companies have to invest in local businesses and drive social and local economic impacts through procurement. OMX is an online marketplace to help companies diversify their procurement by providing opportunities through the platform that smartly matches to suppliers. It is the first software built that provides real-time electronic tracking and data analytics of the industrial base, procurement opportunities and the exact social and economic benefits that flow to an economy. Having penetrated the Canadian market, they are now successfully expanding globally. Previously, she led a high tech manufacturing business selling to Governments around the world. Nicole is on the Board of the Canadian Crown Corporation, CCC (Canadian Commercial Corporation) that performs government to government contracts between Canada and other countries around the world. She is also on the Advisory Board of the Peter Munk School of Global Affairs, known for their Munk Debates. Further, she is a commentator on CBC and columnist for Vanguard magazine focusing on technology and business news and was a “Dragon” on CBC’s Next Gen Dragon’s Den, which is dedicated to early stage technology businesses. She won the 2017 NATO NITEC Innovation award, was named Canada’s national woman entrepreneur of the year in 2017. In February 2018, she is kicking off a new Gimlet media podcast and show called “The Pitch” as one of the investors to be pitched to by various entrepreneurs. Are you an entrepreneur with a great business idea? Learn more about the Bears' Lair competition, the rules and eligibility and how to apply. The FIRST thing you must do is post a photograph that represents your business to the Bears' Lair Facebook page indicating your entry. After posting a photo to Facebook, you have until February 16th to submit your application with a completed business plan that outlines next steps for your business. All semi-finalists will have the opportunity to showcase their business to the Bears' Lair local judges and community. Anyone can attend. Local judges will select 6 Finalists to move on to the final event. The six finalists give their final pitch to our judges to win the top prizes. Anyone can attend. Thank you to our Presenting Sponsors! These amazing organizations make Bears' Lair possible!